In twelve more days, I will no longer look twelve! 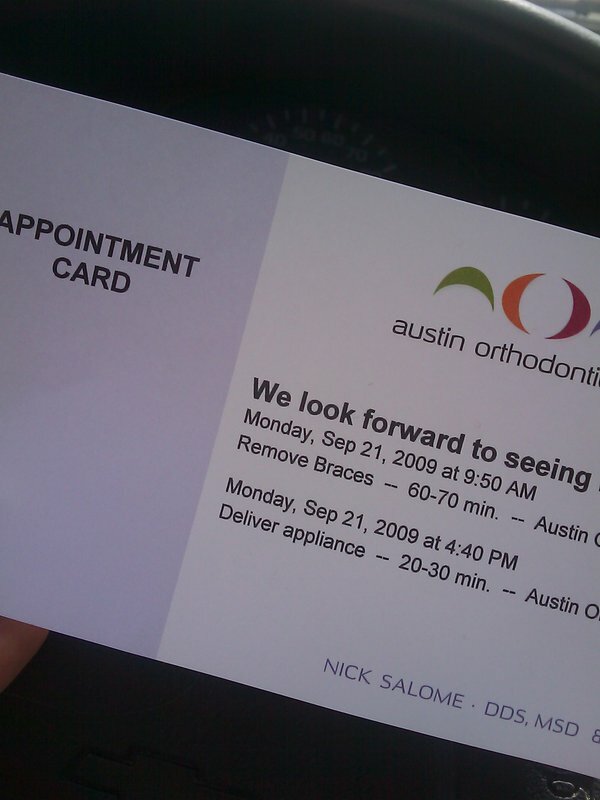 As this is the second time I've had to have braces, let's just hope that there won't be a third time. This time if I lose my retainers on the subway in Washington D.C., I won't be scared to tell my family, and then I can get replacements as soon as possible. This also means that I can start taking acting work again! You can't see me right now, but I'm doing a happy dance in my desk chair right now!